The report below from IntelNews gives one side of the story. Here are some excerpts from the Japan Times that offers some more interesting information about how the CIA and China are locked in a permanent battle for information, technical advantage, espionage, along with state-sponsored assassination programmes to cover the trail. 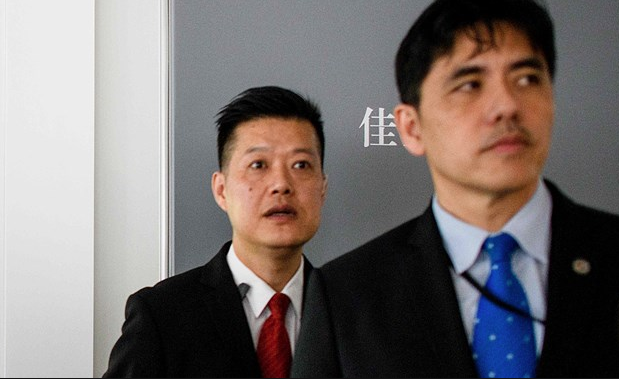 “Jerry Chun Shing Lee’s arrest was reportedly linked to Beijing’s brutal dismantling five years ago of the CIA’s network of undercover operatives and informants inside China. Lee served in the U.S. Army in the 1980s and spent 13 years from 1994 at the CIA, where he had top secret clearance. The charge against him was limited to one count of unlawful retention of national defense information. But the details of an investigation spanning at least five years suggested much more. According to The New York Times, U.S. counterintelligence has been working overtime since at least 2012 to uncover a possible pro-Beijing mole within the ranks of America’s espionage services. By Joseph Fitsanakis – IntelNews: Chinese intelligence operatives gave a former officer of the United States Central Intelligence Agency “hundreds of thousands of dollars in cash” in exchange for carrying out espionage, according to court papers. The Federal Bureau of Investigation arrested Jerry Chun Shing Lee, 53, on January 15, accusing him of possessing classified information that included lists of real names of foreign assets and addresses of CIA safe houses. Lee, 53, was reportedly arrested after a lengthy FBI sting operation, which included creating a fictional job in the US in order to entice Lee to travel to New York from Hong Kong, where he had been living after leaving the CIA in 2007. Lee is now scheduled to appear before a US circuit court judge on Friday morning, in order to be officially charged with one count of conspiracy to deliver national defence information to aid a foreign government and two counts of unlawfully retaining information pertaining to national defence. According to the indictment, in April of 2010 Lee met two officers of China’s Ministry of State Security. The meeting allegedly took place in Shenzhen, a city in southern China that borders Hong Kong. During that encounter, the indictment claims that Lee was offered “a gift of $100,000 in cash” in exchange for providing the Ministry of State Security with information about his career in the CIA. He was also told by the two Chinese intelligence officers that China would “take care of him for life” if he continued to cooperate with them. In May 2010, Lee deposited about $17,000 into one of his HSBC accounts in Hong Kong. Court documents allege that the deposit was the first of many that followed and that they amounted to “hundreds of thousands of dollars”. These deposits continued to occur until the end of 2013, when Lee made his last substantial cash deposit in Hong Kong. Throughout that time, Lee received regular written instructions from the Ministry of State Security, asking him to provide information about CIA operations. Lee did so at least 21 times, says the indictment. In one instance, he drew the floorplan of a CIA facility abroad and gave it to the Chinese, according to the indictment. Lee is expected to plead not guilty on Friday.